We have a host of regular events to keep you entertained. Really simple: 11am to late. At the leafy end of Charles St, you’ll find Sporties Hotel, Bar & Kitchen, located in the heart of Launceston’s café precinct. 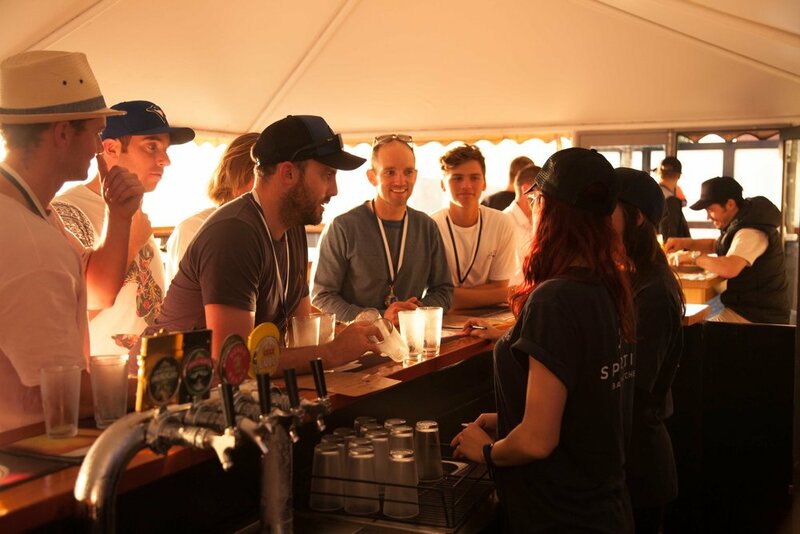 Perfect for lunch beneath the trees, a pint on the deck, or affordable accommodation, Sporties will offer you a variety of experiences within its classic venue. In the Bar, we have FOX sports live, 7 days a week, pool table & live music every Friday & Saturday night. Only a short walk from the city centre & the General Hospital with off street parking at the rear of the building. Upstairs, Sporties Hotel offers guests clean, comfortable accommodation within walking distance from the city centre and local attractions. Sporties Hotel accommodation includes free off street parking and Wi-Fi for all guests. Built upon a legacy of great food, drinks and big fun within our awesome venue. Sporties has become Launceston’s favourite place for friends to congregate together and enjoy a casual dining experience. 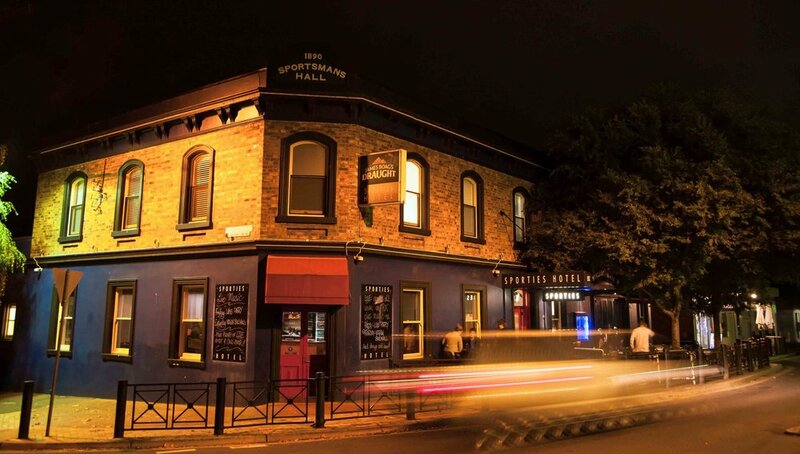 Sporties Hotel boasts 10 different beers & ciders on tap with great local and interstate wines to match. You can hear great local performers every Friday and Saturday night – live and acoustic in the bar and on the deck every Sunday afternoon over the warmer months. Sporties loves Sport – we show all the great events live on the big screen in the bar during the month. We also show all major sports featured live on Fox Sports 1, 2 & 3, One HD, ESPN, Fuel and special features with Main Event. If we are not showing your game please ask Sporties Staff so we may accommodate your sports viewing. Pull up a barstool at our oversized communal benches and check out our bar menu while you’re in – with specials on the board daily. Throughout the whole venue Sporties Kitchen offers a setting, service and surrounds rarely found in Launceston pubs. The Kitchen is about fresh local produce, great wines and fantastic service. 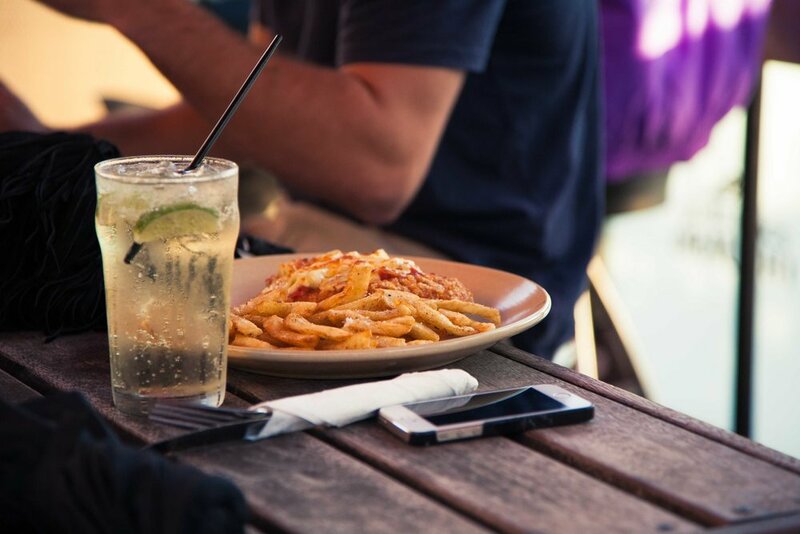 Our menu is designed to satisfy a variety of tastes from the classic pub favourites including burgers, parmi’s steaks & vegetarian options. On Monday’s you can expect the best Parmi’s in town special - $15 Pint & Parmi. Parmi’s range from the traditional to Hawaiian, Satay, & Meatlovers. Monday Parmi Menu changing regularly. $15 lunch specials every day including Sunday Roasts, Boags Burger & Beer deal on Thursday’s and much more. Keep an eye out on our Facebook page for ever changing specials! The fun never stops at Sporties! Bring your birthdays, office parties, family get togethers and late night gatherings to the one place you know you will enjoy and our staff will make sure of it! Our team at Sporties have fun every day of the week, from weekly specials from Lunch through to Dinner to Trivia night and regular local events to keep you entertained. Keep an eye out on our Facebook and Instagram pages to see what is on!